When you're serious about losing weight and improving your health, the ORBERA® Medical Weight Loss Procedure is a smart choice. The unique gastric balloon design and comprehensive fitness, nutrition, and lifestyle coaching work together to help you achieve your goals and lose excess weight. Clinically proven, ORBERA is helping people around the world lose weight and keep it off. But perhaps most importantly, our patients are embracing their futures, improving their health, and feeling more confident than ever. 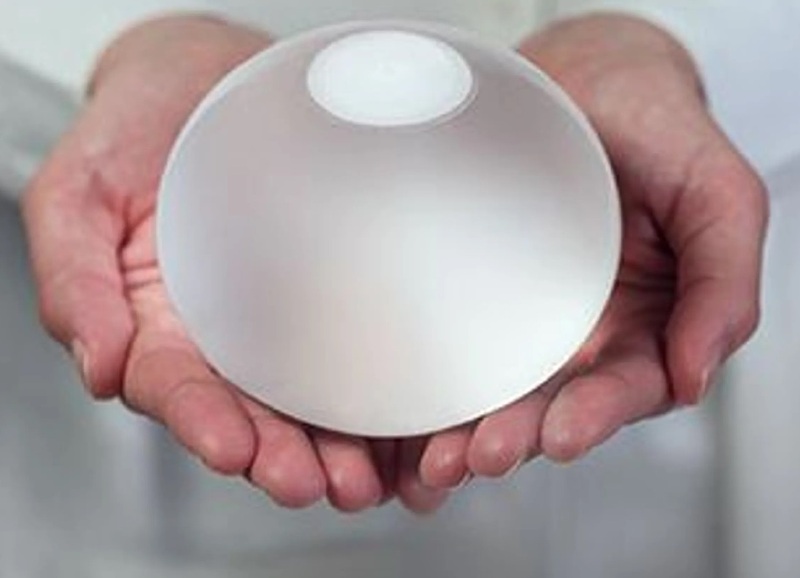 The innovative design uses a gastric balloon to take up room in your stomach. When the balloon is in place, you'll feel less hungry, so it's easier to eat the healthy foods you enjoy in reasonable portions. In a recent study, patients lost more than two times more weight with ORBERA than with diet and exercise alone. And most patients keep the weight off or continue to lose, even after the balloon is removed. The ORBERA Procedure was developed for people who want to achieve significant weight loss and are ready to adopt a new, healthy lifestyle to keep the weight off for good. ORBERA provides a personalized pathway broken down into three phases over 12 months. Each phase is specifically designed to assist you at key stages during your weight loss journey. 1. Readiness Your weight loss journey begins with a personalized evaluation. You'll start receiving the education you need to prepare you for success. 2. Jump Start During this phase, the gastric balloon is inserted in your stomach. It will remain in place for six months, helping to control portion size and curb appetite. 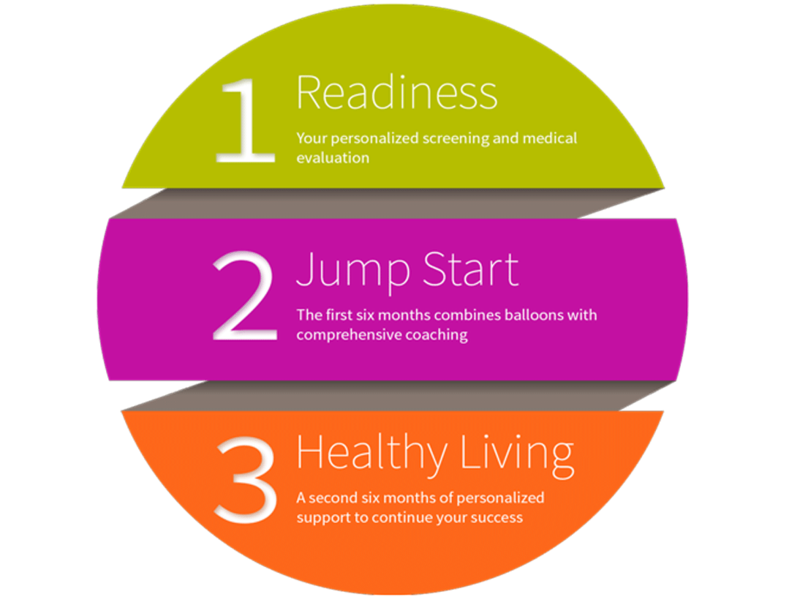 With the balloon’s help, paired with personalized coaching, you'll focus on healthy eating, exercise, and lifestyle habits to maximize your success. The balloon is removed from your stomach at six months. 3. Healthy Living After the balloon is removed, you'll continue receiving support to help you achieve and maintain your optimal weight and healthy lifestyle. Only the ORBERA procedure places a gastric balloon, medical-grade and saline-filled, inside your stomach for six months. The balloon takes up room in your stomach so there's less space for food and you feel satisfied longer. The ORBERA removal is just like its insertion. The balloon is removed through a quick non-surgical procedure. Throughout the next six months you have an opportunity to capitalize on your progress by continuing your coaching. When your yearlong program is over, you will have created a healthy lifestyle that will help you continue to lose weight and keep it off. With ORBERA, your doctor will gently insert the balloon through your mouth (endoscopically), with no incisions or scars. A year of change. To last a lifetime. With ORBERA, you've got the support of professionals who can help make healthy eating, fitness, and lifestyle habits a permanent part of your life. This personalized approach takes your schedule, habits, and needs into account to help you create a healthy lifestyle that works for you. 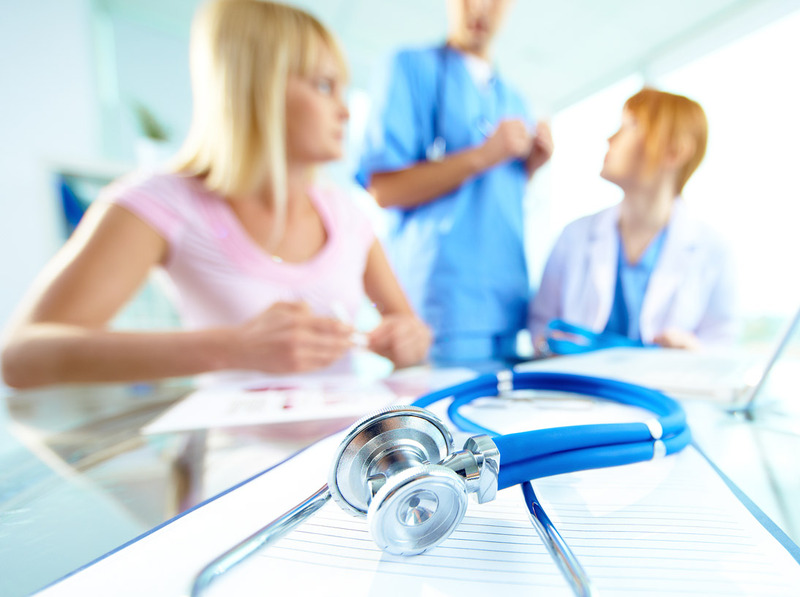 During regular appointments, your team will help you set goals and track your progress. They're there for you when you need help, with tools and insights to get you on the right track. They hold you accountable. They celebrate your success. And with their support, you'll develop healthy weight management skills to sustain and continue your success.